Bright, sunny home on .9A lot off 401! 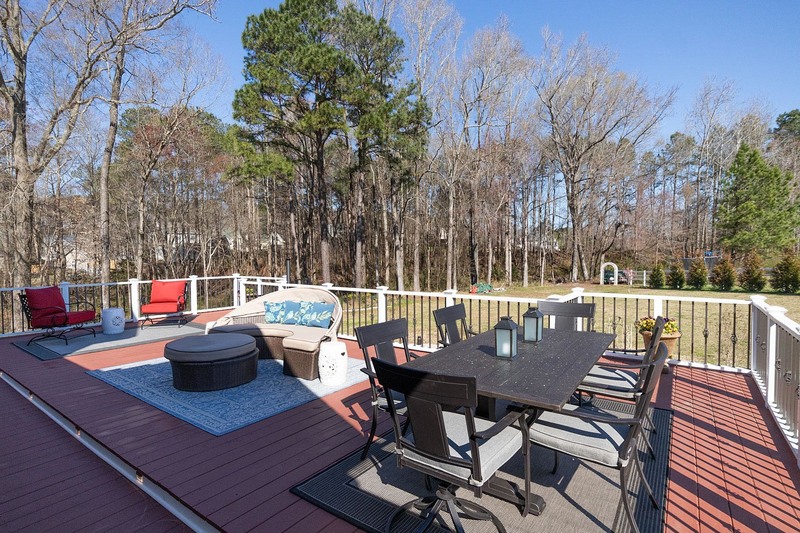 Beautifully situated, this home has treed privacy, lovely views, 2 community ponds, pool, creek plus 22x32’ entertaining deck w/ storage underneath, paver patio fire pit & level backyard. Main flr master, new mstr bath & carpet, new gourmet chef kitchen; lighted glass cabs, granite, farm sink, pot filler, dbl oven, island, bev refrig, lots of windows & more! Hardwoods in main living areas, 2 lg beds & full bath up, gorgeous bonus room – 2 big sets of windows. Mud room, storage & side load garage. Outside lighting, stunning exterior & landscaping.